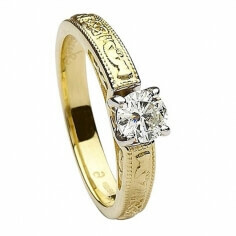 A refined combination of old and new, our narrow diamond Claddagh wedding ring embraces tradition while staying on trend through modern design cues. 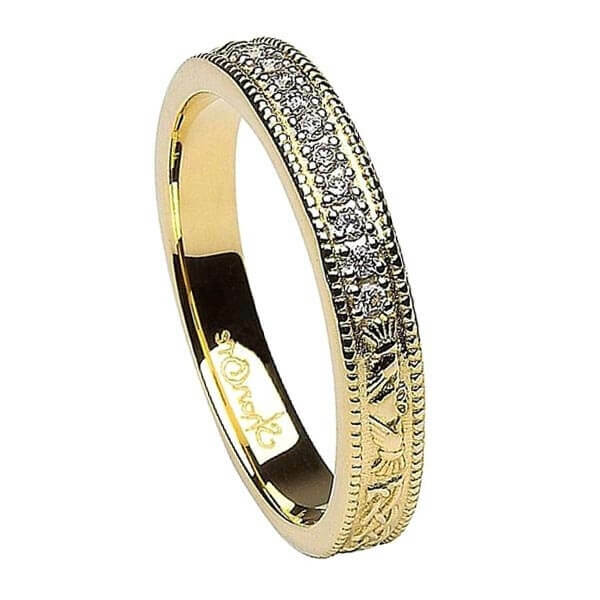 The ring features a group of channel-set diamonds in the popular eternity band style. 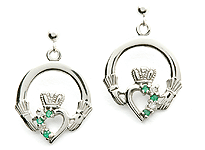 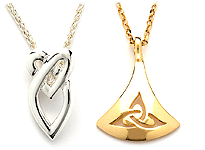 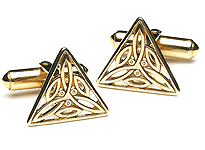 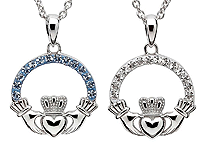 The diamonds then transition to an alternating pattern of traditional Irish Claddagh symbols and Celtic knots. 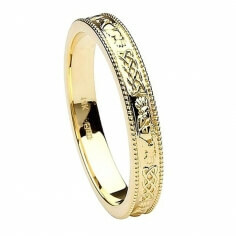 The entire center motif is unified by two rows of golden crown studs framing the top and bottom of the band, resulting in ring with both meaning and mindful design. 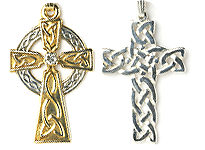 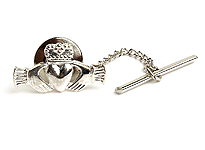 Handcrafted with care by experienced Irish artisans and hallmarked at the Dublin Assays Office.